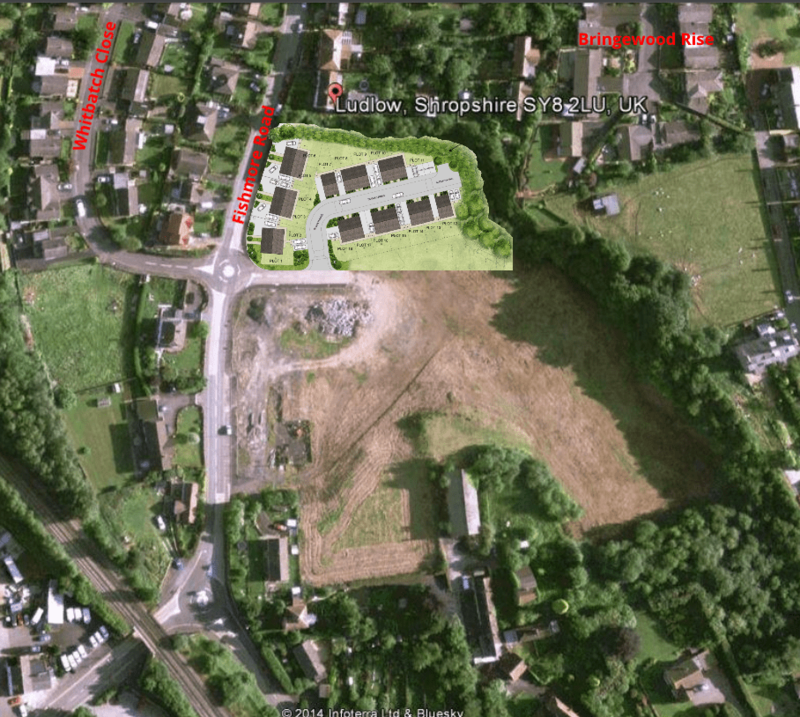 Autumn Fields is to be the name of a development of 18 detached and semidetached homes if plans for the former Whittle bus depot in the former quarry on Fishmore Road gets planning permission. The site already has outline permission for up to 20 homes. There is no issue in principle with the development of this site and I welcome these plans from Wellington based housebuilder Clutton Homes. However, currently it is proposed that five houses will have access from Fishmore Road. Given the traffic on Fishmore Road, it would be better for all the houses to have access from within Autumn Fields. The proposal to provide zero affordable housing because of the future costs of maintaining the rock face also needs to be challenged. There are no plans for sustainable drainage. This is application is a good start but much more work is needed to get this development right for Ludlow and to meet planning policies. If changes can’t be agreed, the application should be determined by the South Planning Committee. An application for outline planning permission for up to 20 homes on the former Whittle bus depot was published in June 2014 and approved in February 2017 (14/02846/OUT). This established the principle and scale of housing development on the site but no details of design or layout were given. The current full planning application gives detailed plans for 10 two bedroom and 8 three bedroom houses (19/00242/REM). This scheme will bring an eyesore site into use. The homes will be in walking distance of the town centre and the train station. It is on a hail and ride bus route with a half hourly service (Minsterley 701). The design of the homes is not exciting but is in character with other housing in this area of Ludlow. Currently, a development of 18 homes in Ludlow would be expected to provide 15% affordable housing – usually by building two affordable homes on site and contributing the equivalent of 0.7 of a home to the affordable homes pot held by Shropshire Council. But Clutton Homes says: “Due to the financial implications associated with the sites clean up and future maintenance of the rock face no affordable housing is being provided.” This will need to be tested by a viability assessment which has not yet been provided. Shropshire Council will need to commission its own experts to check out the assumptions in the viability assessment. That could delay planning approval by several months, as could the absence of a report on ground contamination. No public information is provided on the cost of decontaminating the site. Boreholes in 2004 revealed contamination (the reports on contamination are not available online as they date to the SSDC era). Outline permission was granted on the condition of “the submission of a full and comprehensive assessment of land contamination and mitigation measures to meet the requirements” of national and Shropshire planning policies when the full planning application was submitted. We have yet to see that. A second option of a concrete wall could make the site unviable. A third option might be to mesh the rock face. Clutton Homes have decided that the embankment (bund) will be left in place in line with the engineer’s recommendation. This is a low-cost option. It is absolutely no justification for refusing to provide affordable housing. Especially as the developer’s own engineers think the risk of a fall is close to zero. I don’t think 18 homes will add significant pressure to traffic on Fishmore Road. The main traffic problems on the road lie north of the site with traffic speeding into town from the Whitbatch area and with traffic joining from Stanton Road. This is either one of the worst cut and paste errors I have seen in a planning document for years or the architects have got confused about where the development is. There must also be a greater use of permeable surfaces to ensure the development does not contribute to flash flooding in the Lower Corve Street area. This development is right in principle but needs a lot of work to ensure it is right for the site and Ludlow. I have asked for it to be considered by the South Planning Committee. The style of building certainly lacks imagination and variety. Surely quite small modifications could change this, in keeping with the variety and charm of what we see elsewhere in the town. Autumn Fields? God save us from developers with no imagination! Why not offer Ludlovians the chance to come up with a name that is attractive and reflects the history of the town? Yes, I agree the name could be improved! At first look I assumed it was housng for older folks – autumn of our days! Ha. Ludlow people will have better suggestions.